Note that I have the 18-55mm zoom lens I from the kit, and they only seem to be selling the II lens. I take my photos on the No Flash setting unless I need some extra light or want to try a portrait setting. I always shoot photos using the viewfinder, and videos using the LCD screen. Photos are up to 24 megapixels and videos shoot in 1080p HD. Here are some photos of purple flowers taken at the exact same distance on my tripod, using the 3 different lenses. 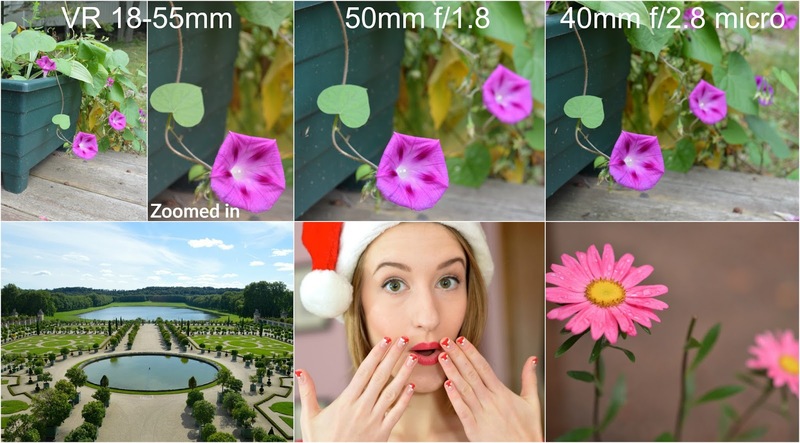 You can see a few additional examples of photos taken with each lens below. The 18-55mm zoom VR is great for wide shots and places where you'd like to zoom in and out on a subject. The 50mm 1.8 gives a bright picture with a blurred background, but you need to stay at least 1.5 feet away from your subject. 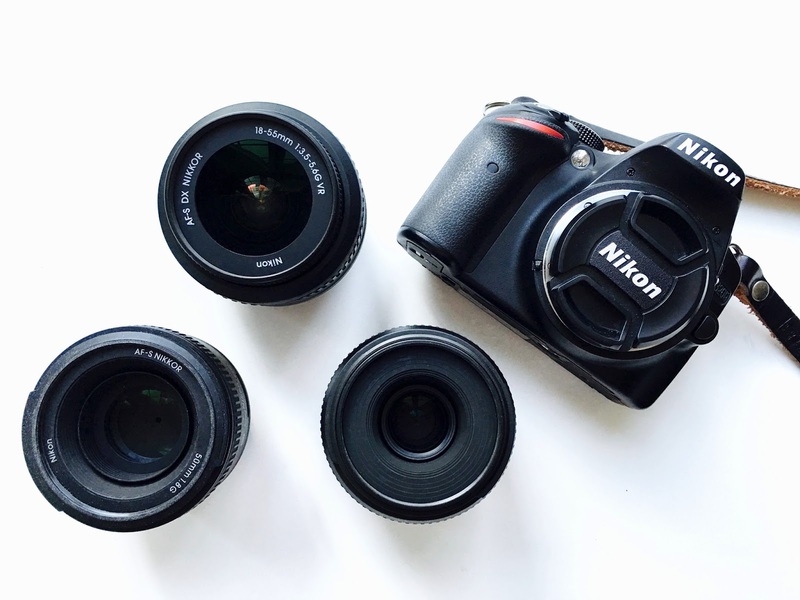 The 40mm f/2.8 micro allows you to get within inches of your subject for a super crisp shot. My kit included a Nikon camera strap, but I'm now using a personalized leather strap from Tap & Dye. 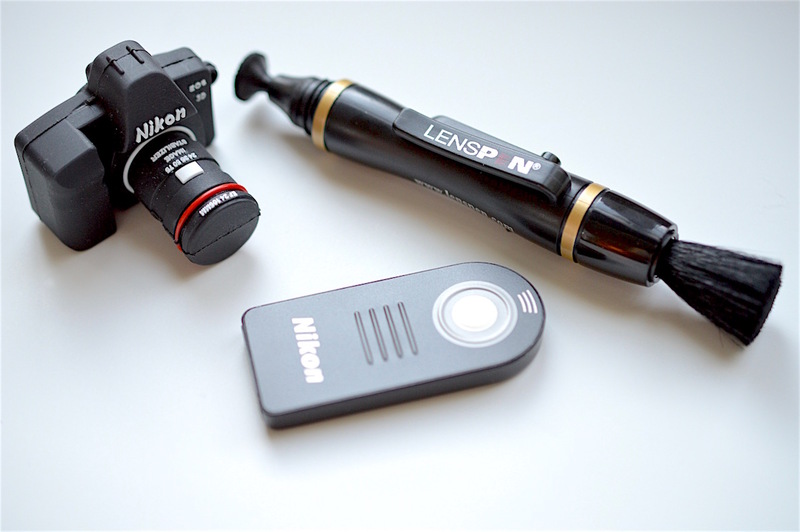 Three of my other must-haves include a Nikon remote control for selfies and close-ups, an Optex tabletop tripod, and the LensPen for easy cleaning. Next on my list? I've heard great reviews of 28mm lenses for a more wide field of view, and a fancy zoom lens for travelling would be lots of fun. I have seen this particular D3200 camera sold at Shoppers Drug Mart, Costco, Best Buy and the classic camera stores like Henry's.